Google's Chromecast is cheap and awesome and it's about to get even better. 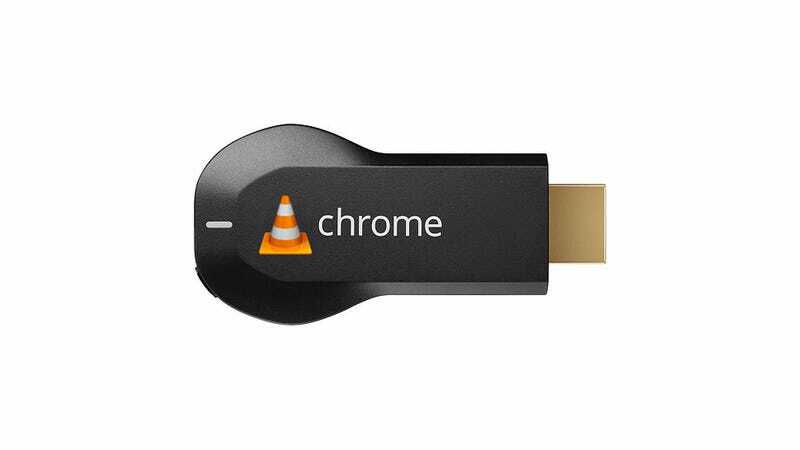 The latest changelog posted by VLC—which mentions a "Chromecast output module"—suggests that the Swiss Army-knife of media players will finally get Chrome support. If that means what we think it means, you'll soon be able to cast any video from the VLC player. That's handy because Chromecast historically isn't great a playing local (coughpirated) video. It's not an entirely revolutionary feature; there are a number of extensions that already let you expand the Chromecast's capabilities. Dragging files into a Chrome browser was another way of hacking the dongle's limitations. Still, VLC is a great player and official Chromecast support is more than welcome.